Mix & Match, Entire Store, Buy 3, Get 3 FREE. While supplies last! Enjoy your 2018 Crazy Tote for only $35 (over $123 value) with any $30 purchase! Offered in 2 colours and including 7 products to offer as a gift 🎁. While supplies last! 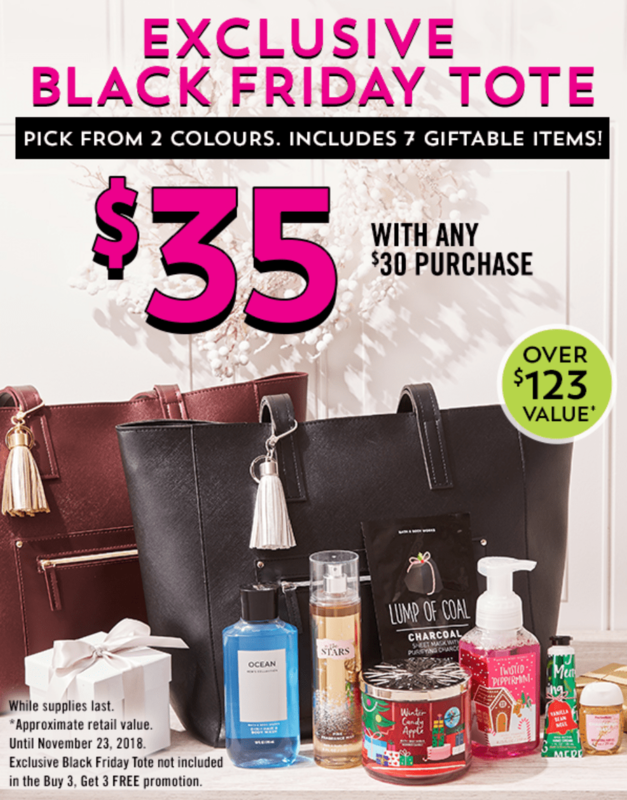 Bath & Body Works Canada Black Friday 2018 deals are valid in-store from today, Thursday, November 22 until Friday, November 23, 2018. Free items must be of equal or lesser value. While supplies last. Here is another free sample that you can request while quantities last. For a limited time, you can register to receive a free sample of CeraVe by clicking the link below. You will receive a 5g sample of CeraVe Moisturizing Cream, when you complete the form with your information. You will also be registering yourself for the CeraVe email newsletter, so be sure to opt out of that later on if you no longer wish to receive it. 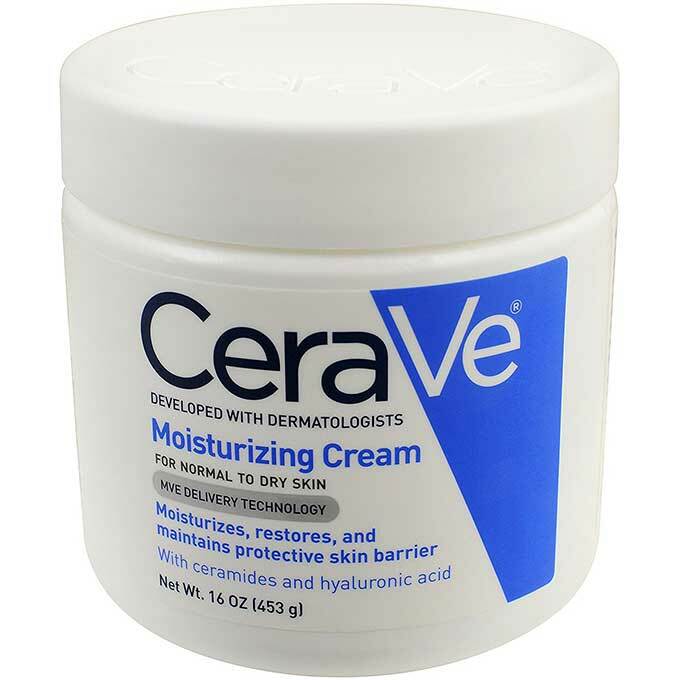 Click here to register for the CeraVe Canada email newsletter and claim your free sample of CeraVe Moisturizing Cream. 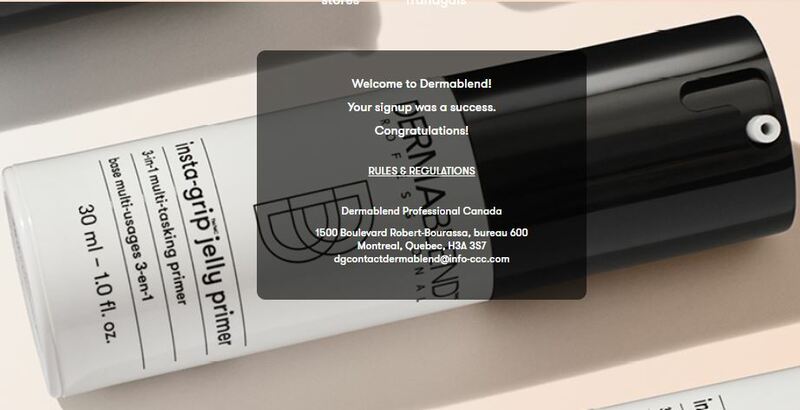 For a limited time you can sign up for the Dermablend Canada email newsletter, and get the opportunity to try one of their products for free. Register for the email newsletter by clicking the link below, and while quantities last you will receive a free sample of their insta-grip jelly primer. The sample is 3mls in size, which should be enough for one use. It doesn’t mention how long it will take your sample to arrive, but you can usually expect to see free samples about 6-8 after you sign up, but possible much sooner. While it does ask that you provide information like your phone, keep in mind that you do not have to provide your actual phone number if you are not comfortable with that, and you can just input random numbers. Click here to get your free sample of Dermablend primer. 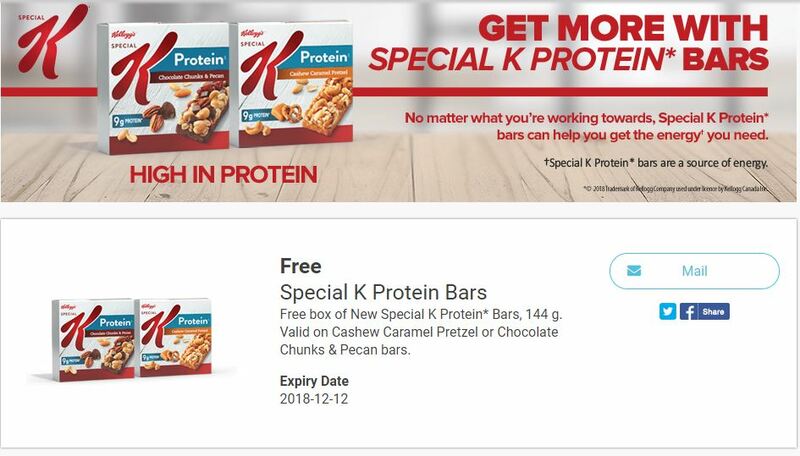 Kellogg’s Canada is currently offering a free coupon for their Special K Protein Bars. Click the link below and you can order your coupon for a free box, valid on Cashew Caramel Pecan Pretzel, or Chocolate Chunks and Pecan bars. The coupon will be valid until December the 12th, 2018, giving you about about three weeks to use it after it arrives in the mail. Click here to get your free coupon while supplies last! For a limited time you can get a free sample of Juicy Couture Oui through Topbox Circle. To request your free sample, click the link below and fill out the form with your information. There is a limit of one request per household while quantities last, and once your request has been received you can expect to receive your sample by mail in approximately two to three weeks. Click here to get your free sample of Juicy Couture Oui perfume. This week Zehrs Ontario has Tena 12-48’s incontinence underwear or pads on sale for $13.99. If you have ordered and still have your coupon for $14 off the purchase of any Tena product. You can use the coupon this week to pick up a package for free. If you have not yet ordered your coupon you can do so by registering for Tena, and then requesting your coupon through the link below. There is a $7 and a $14 coupon available to order. While you will not receive your coupon to use in time for this sale, these occasionally go on sale for $13.99 and sometimes even less. This week Guardian actually has these same products on sale for $11.99. If you are able to price match this at Walmart you may or may not earn overage on it. They may take off the full amount of the coupon, or they may just deduct the price of the product, because the coupon is worded “up to” $14 off. Click here to view this offer in the Zehrs Ontario flyer. Click here to order your Tena coupons. 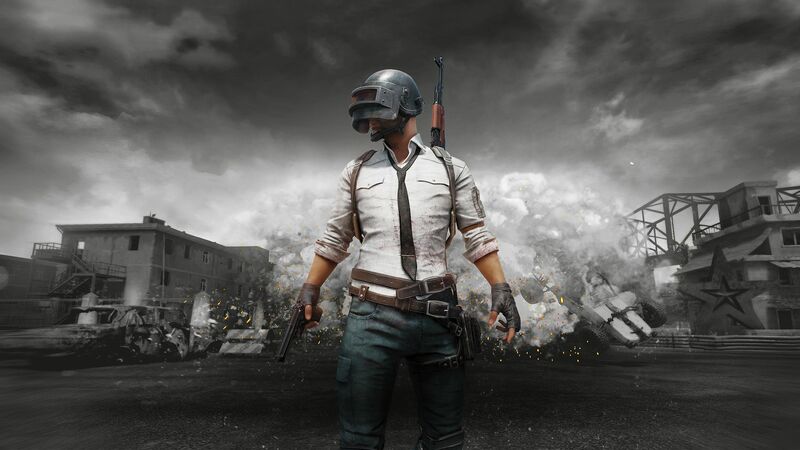 Microsoft Xbox PlayerUnknown’s Battleground FREE on Xbox One! Microsoft Canada has a new Xbox freebie! Play PLAYERUNKNOWN’S BATTLEGROUNDS Full Product Release FREE for a limited time! Game requires Xbox Live Gold to play on Xbox (subscription sold separately). Land, loot and outwit your opponents to become the last player left standing in a thrilling game experience full of unexpected, adrenaline-pumping moments. The Government of Canada has some cool freebies that you might be interested in! You can download or order the Canadian Charter of Rights and Freedoms, and the Canadian Bill of Rights for FREE! You can also order or download an Official Photographic Portrait of Her Majesty The Queen, Her Majesty The Queen and His Royal Highness The Duke of Edinburgh, and His Royal Highness The Duke of Edinburgh. Click here to get the Official Photographic Portraits. 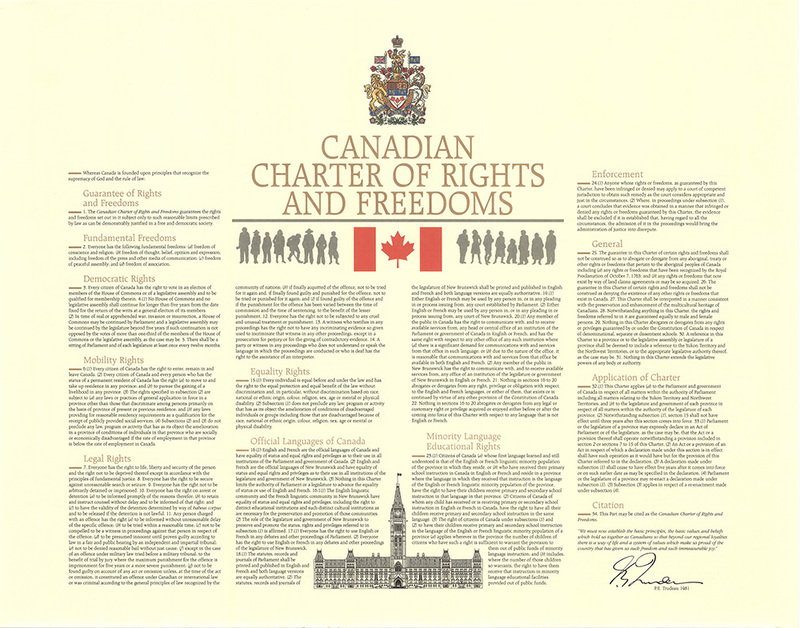 Click here to get the Canadian Charter of Rights and Freedoms and the Canadian Bill of Rights. You can now get Destiny 2 for FREE! It’s Destiny’s PC anniversary and they’re celebrating Destiny’s first year on Blizzard Battle.net with a FREE digital copy of Destiny 2 on PC. This freebie ends on November 18 2018. 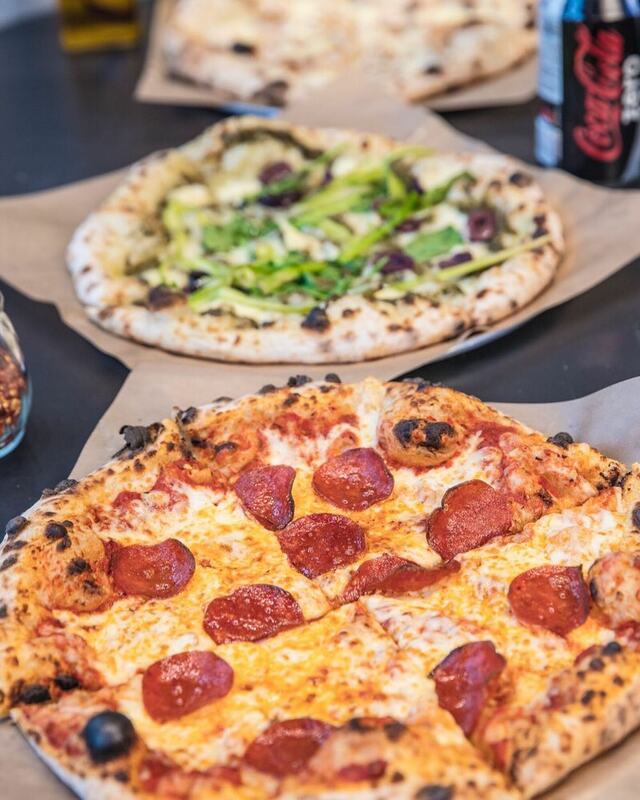 FREE Pi Co. Pizza at NEW Fairview Mall Location! Where: Fairview Mall 1800 Sheppard Avenue East (foodcourt). When: 12 noon – 3:14pm (line up closes as 2:30pm) on November 5th. Limit one per person. No Gluten free available. In store special only. Click here to view Pi Co. Pizza’s menu. There’s a freebie with a coupon at No Frills Ontario this week! Until November the 7th, Zabiha Halal Chicken Wieners are on sale for $1. There is a SmartSource tear pad coupon from a few months back for $1 off the purchase of any Zabiha product. Use this coupon and pick up the wieners for free. 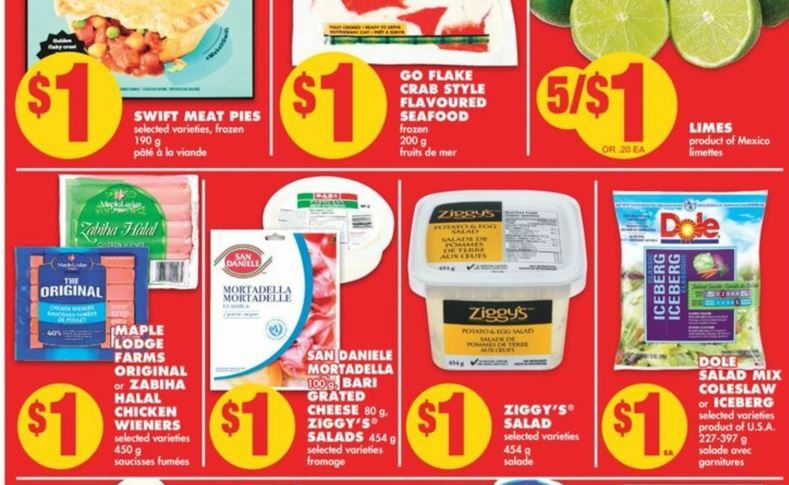 Click here to view the No Frills Ontario flyer that runs until the 7th of November. If you have young children there’s an excellent chance they are fans of Lego, so here is the perfect freebie for them! 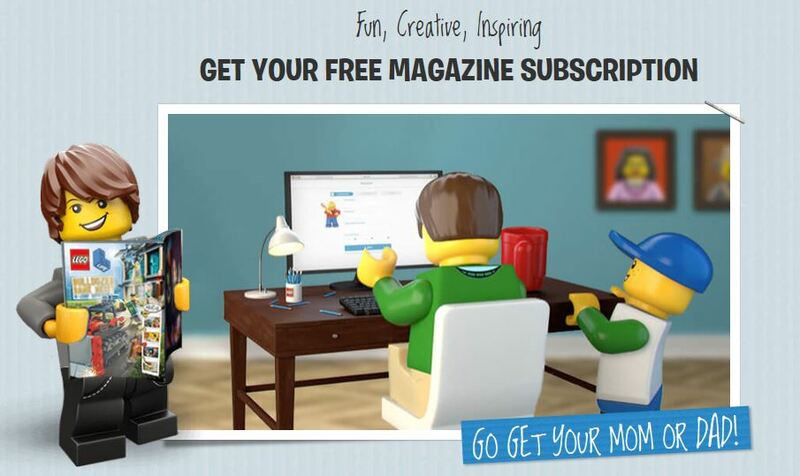 Children aged five to ten are able to register for a free Lego Life magazine subscription. You will find the magazine registration by clicking the link below. To register your child will require a Lego ID, so if you do not have one, your first step to getting the free subscription will be creating a Lego ID. Once registered for the magazine, your child will receive two years worth of free issues. The magazine will be mailed to your child five times a year, making the free subscription ten issues in total over two years. The magazine itself contains building tips, comics, activities, and Lego fan creations to inspire them. Click here to register for a free subscription to Lego Life magazine. Today only, you can get Metro 2033 PC game for FREE at Steam! 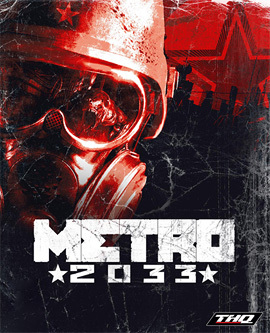 Set in the shattered subway of a post apocalyptic Moscow, Metro 2033 is a story of intensive underground survival where the fate of mankind rests in your hands.In 2013 the world was devastated by an apocalyptic event, annihilating almost all mankind and turning the earth’s surface into a poisonous wasteland. This freebie ends tonight, October 25 2018. Click here to shop at Steam Canada. Dairy Farmers of Canada FREE 2019 Milk Calendar! Dairy Farmers of Canada has released their new FREE 2019 Milk Calendar! 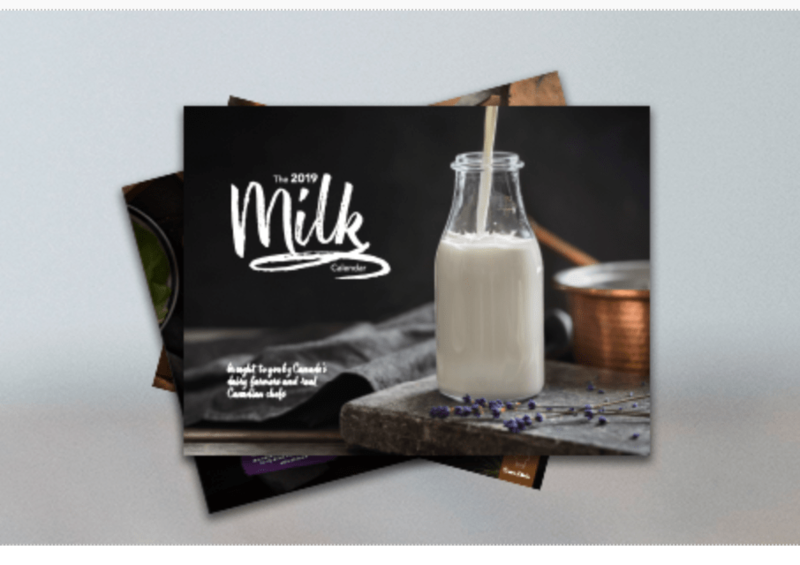 The 2019 Milk Calendar features 14 tried-and-true recipes by Canadian cooks from coast to coast. If you live in Ontario, please click here to get your copy of the 2019 Milk Calendar. If you live in Atlantic Canada, look for your FREE copy of the calendar in these local newspapers on November 17. Click here for more info on the FREE 2018 Milk Calendar! 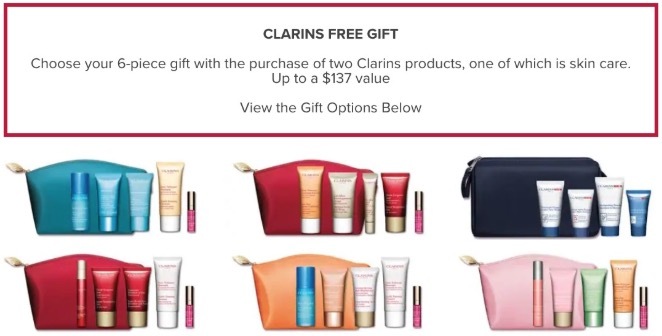 Hudson’s Bay Canada Clarins Deals: FREE 6-Piece Gift (at $137 Value) with Purchase! Hudson’s Bay Canada has a new great promotion available now that includes: FREE 6-Piece Gift (up to a $137 value) with the purchase of two Clarins products, one of which is skin care. This Hudson’s Bay, Clarins promotion is valid online for a limited time only or while supplies remain in-stock.